﻿ FAQ: Where do I meet fellow bikers? Any rider these days is spoilt for choice when it comes to an event to visit like a big bike meet. Just start by clicking on the 'riding and events' tab on the home page here and you can soon see if there's anything special going off in your neck of the woods. 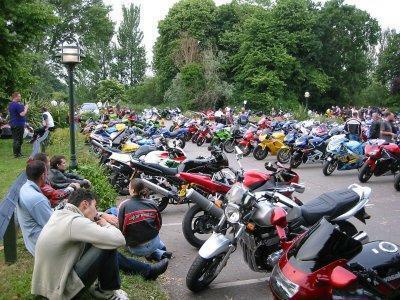 As well as one-off events, there are big bike meeting places up and down the country. Places like Matlock Bath in Derbyshire, Box Hill in Surrey, Devils Bridge in Cumbria and Squires Café in North Yorkshire are always busy, especially in the summer months. It's a great excuse to get out on your bike for a good ride and riders will travel up to 100 miles or more to soak up the atmosphere with a mug of coffee in hand and check out each others' bikes.